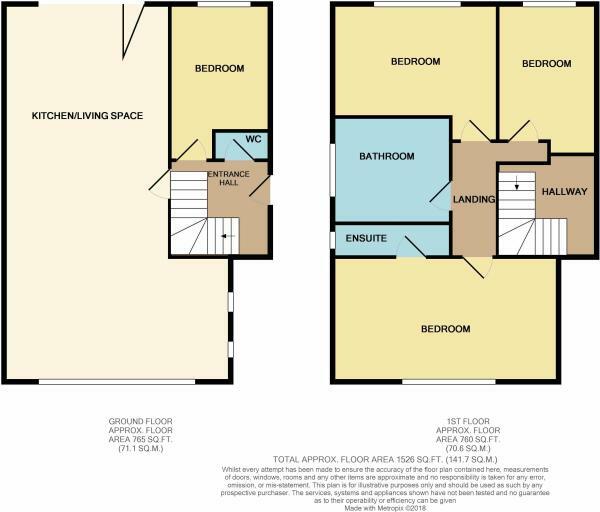 STUNNING DETACHED NEW BUILD, READY TO MOVE INTO - NO CHAIN! A new, unique and impressive detached family home built from top quality York stone and finished to a high standard throughout and ready to move in to. Situated in a quiet cul-de-sac. Entrance is in to a stunning open plan hallway and landing with floor to ceiling glass and stylish oak staircase and storage cupboard, downstairs W.C., bedroom 4/sitting room with large picture window, kitchen/dining/living area incorporating high gloss units, impressive granite island & designer Blanco tap and sink and with corresponding worktops & splashback, NEFF appliances including; ‘slide and hide’ self cleaning oven, second oven & microwave, sleek 5 ring induction hob & hood, fridge freezer, dishwasher, washing machine and matching condensing dryer; leading out of large bi-fold doors to patio and garden. The living space having large front window and two contemporary floor to ceiling windows with luxury flooring. First floor there are three high ceiling double bedrooms, the master bedroom having under eaves storage and a fully tiled en-shower room; an elegant family bathroom incorporating, walk in double shower, low flush toilet, large designer washbasin and vanity unit and luxurious bath. To the outside there is parking and electric charge point for numerous cars and stylish up and down security lighting, side pathway leading to rear garden with large lawn, stone walling and fenced for privacy with patio. Viewing Essential to fully appreciate this stunning build. Maximum width measurement, L Shape.